Chokgyur LingpaChokgyur Dechen Lingpa (1829-1870) was the “manifestation,” of King Trisong Deutsen’s son, Murub Tsepo also known as Yeshe Rolpe Tsal or Lhase Lotsawa. Another of his former lives was the great tertön, Sangye Lingpa, who revealed the Lama Gongdu. Padmasambhava hid many treasures and sealed them with a sacred aspiration to be revealed at a certain time for the benefit of future generations by a certain tertön, an emissary of Padmasambhava himself. The Chokling Tersar (New Treasures of Chokgyur Lingpa) is a collection of terma teachings revealed by Chokgyur Lingpa. These extraordinarily clear and profound heart teachings along with their assocated teachings are contained in a body of literature filling more than forty large volumes. Both the Kagyü and the Nyingma schools of Tibetan Buddhism practice these teachings. 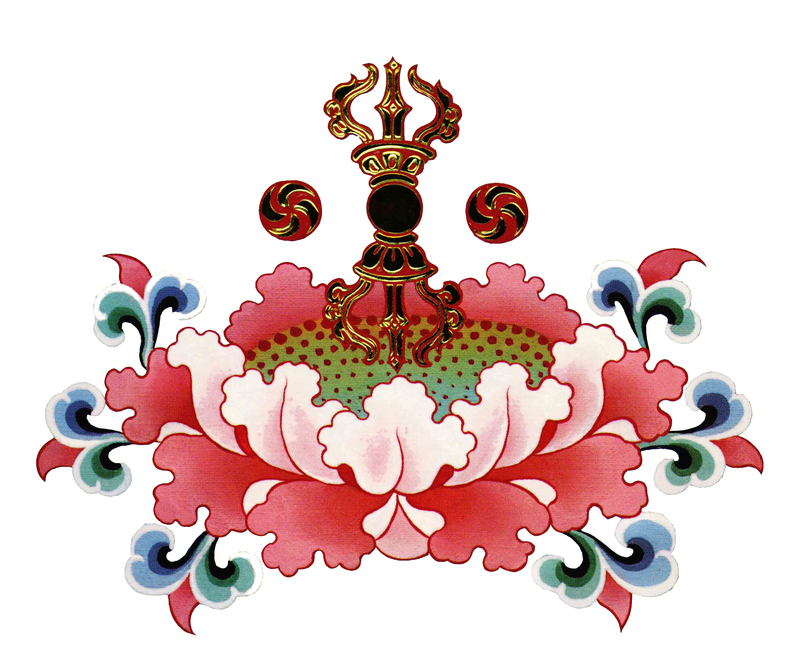 The Taklung Kagyu lineage sprang from the realization of Taklung Tangpa Tashi Pal (1142-1210), a heart student of one of Gampopa’s main disciples, Pagmo Drupa. He founded the Taklung Kagyü (Tiger Command) lineage, whose main seat is Riwoche monastery in Kham. The lineage is upheld and passed on by three main masters: Kyabgön Shabdrung Rinpoche, Kyabgön Jedrung Rinpoche, and Kyabgön Phakchock Rinpoche.